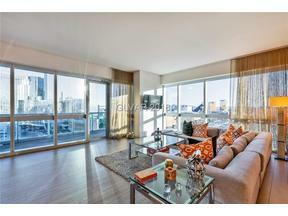 This RARE Strip facing 09 CORNER unit won't last! This gorgeous 2bed 2bath luxury condo in The Martin is professionally decorated with floor to ceiling windows and fabulous panoramic views of the Las Vegas Strip, City Center, T-Mobile and the NEW Raiders Stadium. The Martin brings timeless modern and original design in a one of a kind living environment with top notch amenities including, Concierge, valet, workout facilities, pool/spa, cabanas.